The “iconic portraits [of Harriet Tubman] present her as either stern or frail”, the director of the Smithsonian National Museum of African American History and Culture (NMAAHC), Lonnie Bunch, says in a statement. 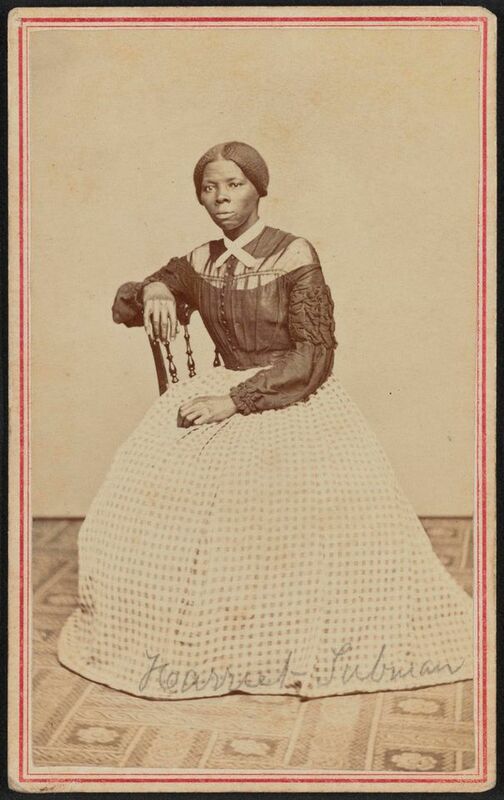 But a recently discovered photograph of the abolitionist and Underground Railroad conductor, due to go on view at the museum next week for the first time ever, “allows us to see Harriet Tubman in a riveting, new way”, he says. The image comes from a photo album jointly acquired by the museum and the Library of Congress two years ago that belonged to Emily Howland (1827-29), a Quaker educator and abolitionist who taught at and directed Camp Todd in Arlington, Virginia, a resettlement camp for former slaves. The photo book has a total of 49 portraits taken around the 1860s, and 46 of the individuals have been identified by cataloguers since the acquisition, including John Willis Menard, the first African American to be elected to the US House of Representatives. The museum is asking the public for help in identifying the three unknown sitters. The album will be the first acquisition shown in the museum’s main entry hall, Heritage Hall, where it is due to be displayed from 25 March until it is moved to the museum’s exhibition Slavery and Freedom on 31 March. The display is part of the Smithsonian’s wider American Women’s History initiative, Because of Her Story. On 29 March, NMAAHC is also due to hold its first seminar on photography, which is open to the public, Pictures with Purpose: A Symposium on Early African American Photography.